You were never supposed to see this. 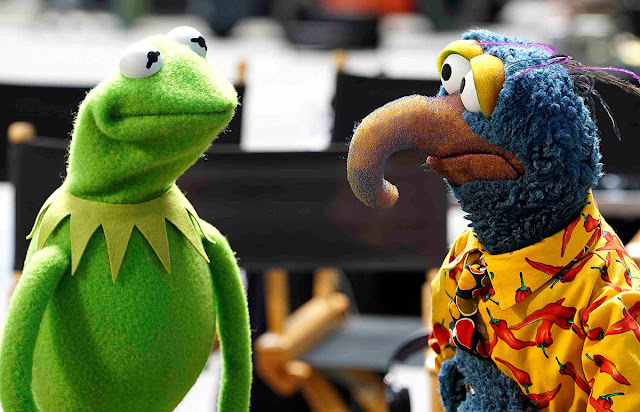 Here’s the pitch that convinced ABC to make a show with The Muppets! It's not often you get to see the pilot presentation that sells a TV series. Luckily, the one that sold ABC on the new upcoming revival of The Muppets has been released for general consumption. The 10-minute video was shown at this year's Comic-Con and you can see why it's headed to primetime. The show takes on the mockumentary style of The Office as the Muppets try to convince Miss Piggy to put on a show for ABC. It's the type of meta storytelling we've come to know and love from the Muppets who are self-aware and putting on a show within a show. The Muppets premieres on September 22nd on ABC.